Flicker member and LEGO Fan Jimmy aka 6kyubi6 has built an incredible working pinball with LEGO parts. 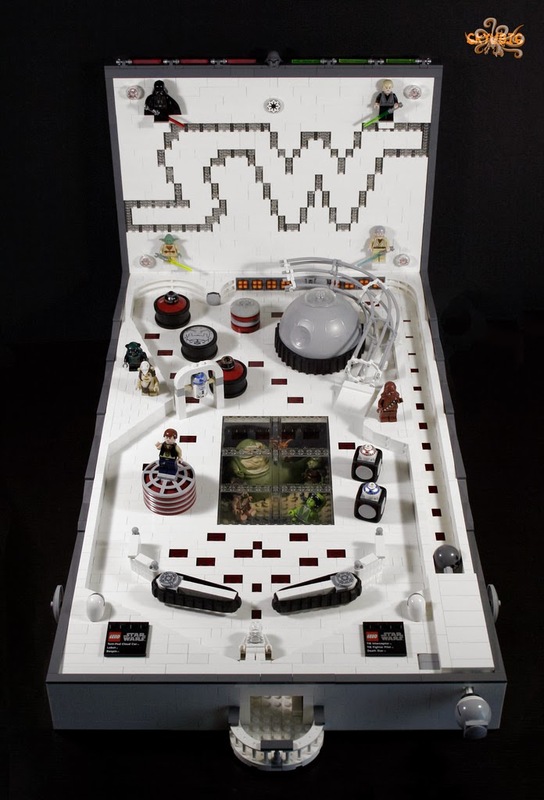 He used iconic pieces and minifigures from the Star Wars licensed sets for the pinball. There is also mini diorama of the Jabba's Palace placed under a transparent panel in the middle of the board which is really creative. This will be probably one of the unforgettable creations of the 2014. Check out the video of the pinball here.